Ragtime Extends Final Broadway Run: Extra week added before musical closes next month. 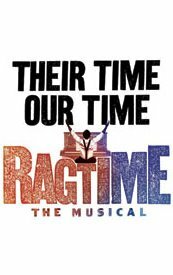 *Thanks to a rush of sales immediately after announcing a closing date for Broadway’s Ragime, producers have decided to extend the show another eight performances. Instead of ending on Jan. 3, 2010, as stated earlier this week, the musical will wrap with a Jan. 10 performance at the Neil Simon Theatre, reports Playbill News. The production will have run 28 previews and 65 regular performances. Ticket prices are $46.50, $86.50 and $126.50 (including $1.50 facility fee) and available by calling Ticketmaster at (212) 307-4100 or visiting www.ticketmaster.com. Ragtime plays Tuesday at 7 p.m.; Wednesday, Thursday, Friday and Saturday eve at 8 p.m.; Wednesday and Saturday matinees at 2 p.m.; Sunday matinees at 3 pm. It’s dark Monday. Previous ArticleGabby Sidibe Pedals For Duracell: 'Precious' star contributes to 1,000 hours of pedaling needed to power portion of Times Square Ball drop. Next ArticleBET Wraps It's Best Year Ever: Network scored double digit ratings gains in key demos.